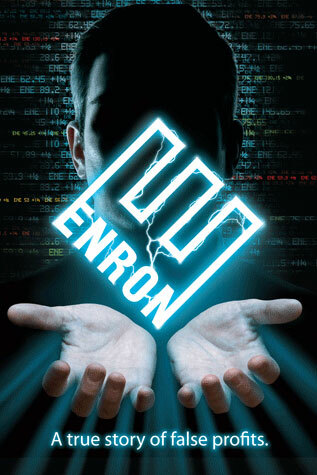 I saw ENRON last night and found it to be a fascinating theatrical spectacle, which tells the tale of the Enron disaster. It looks at the collapse of the Texas energy company in the 1990s and is an interesting exploration of corporate greed that has certainly affected our world and the circumstances we are in today. Told through songs, dance, and a bevy of multi-media visuals it is entertaining from start to finish. I couldn't help but be angry, as you watch this powerful drama about the arrogance and greed played out before you. I think it is important for every individual to see and know that this is exactly why we are in the economic disaster we are in today. It may have started with Enron, but it didn't end there. Each and everyday more and more economic fraud is being uncovered. While arrogant, greedy corporate scum are making millions...they are lying, deceiving and taking advantage of the world. My point is...I think this is an important piece for theatregoers today. It has a wonderful way of presenting an eye opening experience to the public, and with an extraordinary theatrical flair. If you have the chance...go! Don't miss this!